When I think about Fogo de Chão, the Brazilian steakhouse, I think about it’s reputation as a meat lovers destination. With almost a dozen skewers of lamb, beef, pork and chicken being carried through the dining room, my previous visit to Fogo de Chão resulted in a “meat coma”, borderlining the “meat sweats”. But, rest assured, if you are looking for a “lighter” experience or perhaps you are not in the mood for an intense meat-filled meal, you can still enjoy the flavors of Fogo de Chão at their Happy Hour. 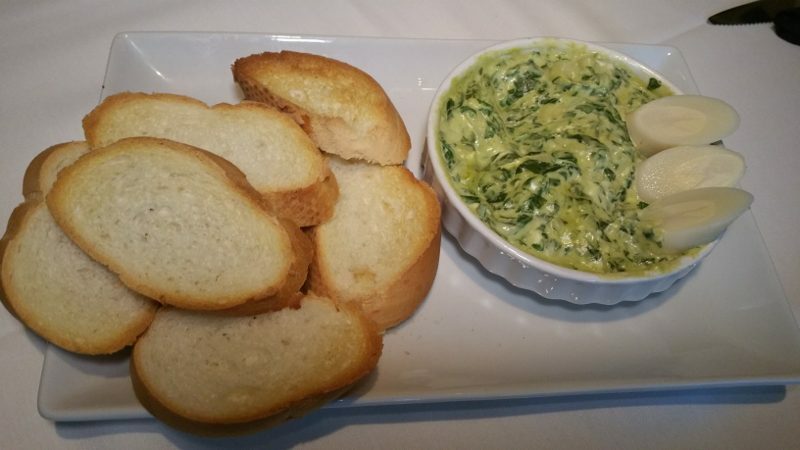 Warm Hearts of Palm and Spinach Dip – Served with crispy toasts, it’s a creamy, filling dish that is great to share with friends. Is vodka your favorite drink? 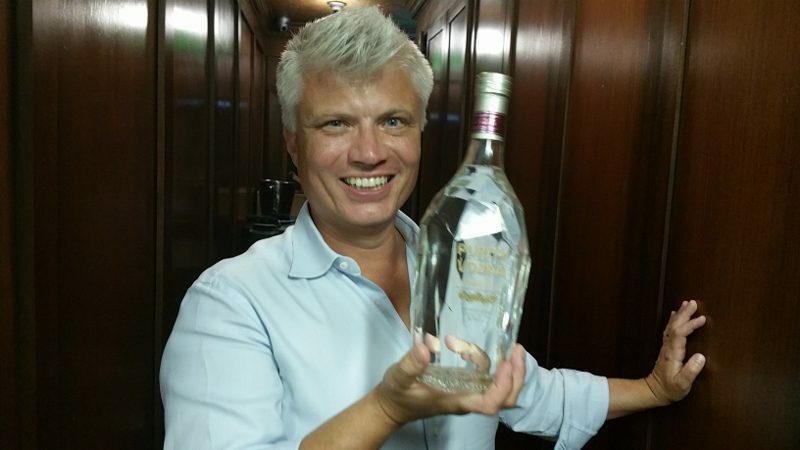 That was the question posed by Purity Vodka Master Blender Thomas Kuuttanen at a recent dinner. More than half of the hands went up. Whether it was true, shouldn’t one answer favorably in front of a vodka producer? Well, I did not raise my hand. I could not lie. Vodka is not my favorite spirit. I am a gin drinker. I find vodkas to be rough, flavorless and odorless and some are like rubbing alcohol. Sure, it is a neutral spirit and can be the base in many cocktails but I like the flavors that come from other spirits. We did not get the response you would think from a vodka producer. He responded that vodka is, in fact, not his favorite spirit either. Having worked in the spirits industry in Sweden for many years, he is more of a fan of whiskey. Thomas explained that he found vodka kind of sad; vodka is more about image and not about content. But, spirits are about soul and passion, and that is what Thomas set out to make, creating Purity Vodka, which is the winner of more than 100 gold medals in blind competitions. The Teeling family has been in the whiskey business for 200 years and Irish whiskey is in the blood of brothers Stephen and Jack Teeling. But Teeling Irish Whiskey wasn’t launched until 2015. Irish whiskey had been one of Ireland’s main products and the top selling spirit prior to Prohibition. During Prohibition, Irish whiskey saw a decline in exports from 60 percent of the world market to only one percent, says Stephen. To survive and recover from the 40-50 year implosion of the industry, Ireland created one company which ran as a monopoly for 50 years. This monopoly was purchased by Pernod Ricard in 1987. Stephen and Jack’s father saw the opportunity for an independent distillery. He challenged the monopoly and set up the Cooley Distillery in the 1980s, the first new independent Irish distillery in 100 years. Stephen was 8 years old at the time, his older brother Jack was 12. Growing up in the family business, neither brother wanted to work in it. They both went to university where they studied marketing and international business. Jack worked in finance and Stephen worked in international business. Then, in 2005, Jack joined the family business. Stephen followed him two years later. “It’s only when you step out of the family business that you realize the passion you have for it and that everyone is in it together,” says Stephen. As their father took a step back in 2009, the brothers began running Cooley Distillery. The three expressions available in the United States are Teeling Small Batch (aged in rum barrels), Teeling Single Grain (95 percent corn, 5 percent malted barley and fully aged in California red wine barrels for six years), and Teeling Single Malt Whiskey (100 percent from a range of different ages of malted barley, including Malt whiskey distilled 24 years ago and aged in Sherry, Port, Madeira, White Burgundy and Cabernet Sauvignon casks). Foodable: What’s the most challenging part of the job? Stephen Teeling: You can have the best product but getting into the market is tough. I can only be so many places and there are a lack of resources because we don’t buy placements. It drives us to work harder. Foodable: What is the biggest lesson you learned in the first year? ST: Don’t be afraid to hire talent. We are small and sometimes try to hold tightly. We thought we could do it all but now hired the right people with the right skills. Foodable: What is your favorite cocktail to feature your spirit in? ST: I prefer to drink it neat but a couple of my favorite cocktails* were created by our global brand ambassador, Kevin Hurley. *Check out the recipes below! Foodable: Where do you draw your inspiration from in crafting your spirit? ST: We look at what is liked about Irish whiskey and think about how it can be enhanced. The goal is to try to have balance in all you do, to find a rhythm to it. Foodable: What is the biggest piece of advice you could offer to those looking to work in the spirits industry? ST: Don’t be afraid to try things and fail. Without taking risks you don’t achieve anything. Don’t chase volume for the sake of it. You can only compete if you innovate and add to it. Today, Irish whiskey, according to Stephen, is the fastest growing spirit in the world. It has grown double digits in sales over the last 10 years and is expected to grow another 60 percent. Teeling Irish Whiskey is undoubtedly part of this renaissance. Pour all ingredients into a cocktail shaker and shake vigorously for 10-15 seconds. Strain into a rocks glass/Julep cup filled with crushed ice. Garnish with a pineapple slice, mint sprig and cherry. Add all ingredients to cocktail shaker with ice and shake vigorously for 10-12 seconds. Strain off the ice and dry shake without ice for 10 seconds (reverse dry shake method). Garnish Angostura bitters on top.